There has been a huge influx of brands into the market of late. The difference between what is happening today and a decade ago is the fact that new businesses have been able to successfully compete one on one with the big guns in the business. This has been made possible with one of the most popular internet marketing tools of late – social media marketing. Social media has achieved unprecedented penetration with the general populace and this has made it a powerful weapon for the purpose of marketing. Any brand can use it as leverage to create an equal or a greater impact than the big businesses ruling the roost in any given niche. What this has done is opened the floodgates to new entrepreneurs and big businesses alike which has resulted in a more competitive marketplace. More competition is generally good for the end user who stands to benefit from reduced price and increase in quality. Given all these statistics, Instagram makes a clear case for itself when it comes to being at the forefront of the marketing efforts of businesses. Another case in point is the fact that it has over 800 million users on the platform. This means that there is a lot of untapped potential when it comes to selling products or ideas on this platform. While Instagram does propel a lot of businesses’ marketing ability, you also need to make sure that your company’s Instagram account has what it takes to compete with the big brands. There are several Instagram numbers that you need to look at to make sure that your brand is performing well. The primary metrics are likes and views. 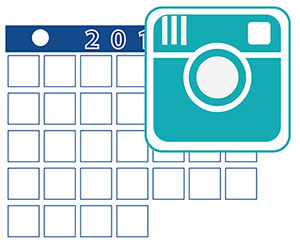 Most brands have a high number of likes and views on their Instagram account. This lends them social credibility which attracts more customers to their products and services. One of the most important things to do here is to set the tone for your brand – you will decide on how your brand markets itself to people. This is referred to in general as the voice. Different brands have different approaches to this. You might find brands like Nike have a pretty neutral tone while Wendy’s is a bit more tongue in cheek with their responses. Just remember that your brand voice must be cohesive with how you’re approaching marketing. When you’re setting up an Instagram brand account you need to make sure that you don’t skimp on image quality. An Instagram business account should always prioritize image quality over quantity. You do not want to make the mistake of using mobile phones to capture images – if you’re starting out, always defer to a good quality DSLR as your image capture device. It can offer your images a layer of depth and color capture that you just cannot achieve with mobile phones. 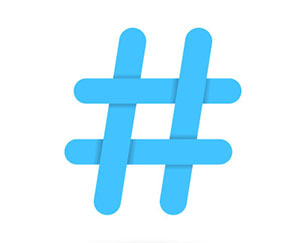 Hashtags are the most critical part of your posts after images. How you approach this can determine how successful your post is at attracting likes. The hashtags should be creative, and research shows that the optimal number of hashtags on a post is 11. If your brand is newer to Instagram, then you start with fewer and experiment with what your followers prefer. Another thing to note is that you need to use popular hashtags to appeal to a broader audience. These vary according to your niche, so you may have to do your research on what your competitors are doing and then step up from there. When it comes to getting the most engagement from your audience, you need to make sure that your posting coincides with the time that they are most likely to be active. If they are online at the time you post, there is a huge chance they will endorse your post through likes or other social methods. And the more likes a post gets, the most opportunity it will have for people to see it at the top of their feed. A lot of Instagram accounts forget or skip this entirely – don’t be one of them! An effective CTA can get people to engage with your posts. Don’t be afraid to ask your followers for endorsements, chances are that if they think your content is really good they will be more than happy to engage. Make sure that you add a strong CTA message to your post that is attractive and can catch attention. Getting a lot of Instagram likes is not difficult with the right amount of attention to detail when it comes to posting. iDigic can give you the right tools to get ahead and stay there against your more experienced competitors. Instagram endorsements can add a lot of social muscle to your brand account. You need to make sure that you check all the right boxes when it comes to getting more likes on your Instagram business account.